Whether you're single, in a relationship or married, you could probably use a laugh. 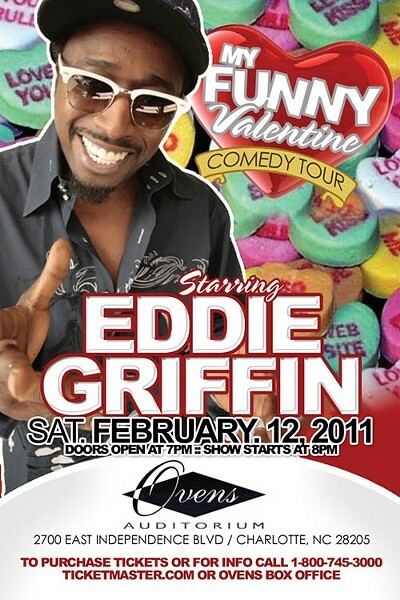 In that case, head over to Ovens Auditorium as the "My Funny Valentine Comedy Tour" brings some lovin' to the stage. The show, hosted by Chris "Funnyman" Robinson, will feature performances by comedians Eddie Griffin and George Willborn. $35 and up. 8 p.m. Ovens Auditorium, 2700 E. Independence Blvd. 704-372-3600. www.ovensauditorium.com.